Some of the smartest people have now become some of the most inspirational, thanks to the TED format and delivery. TED is now its own global industry which includes smaller, more affordable, TED X talks, a TED video channel and NPR's TED Radio Hour. 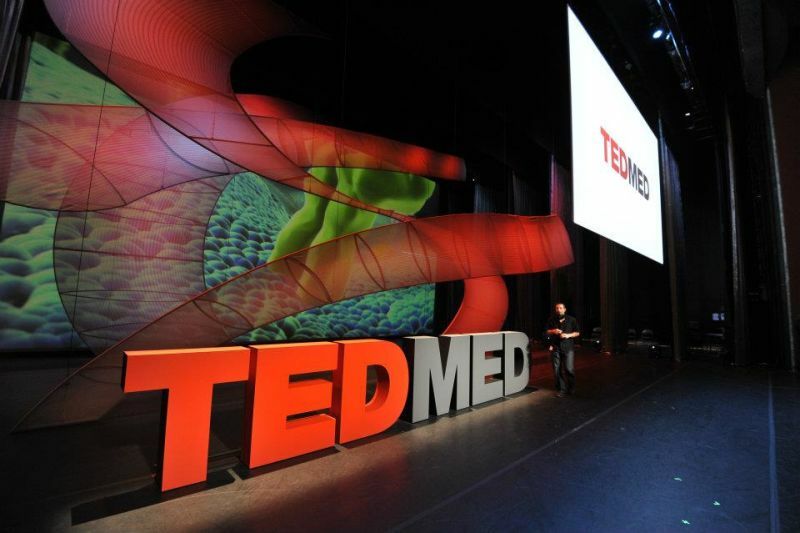 TEDMED, which is kind of the sci-fi edge of medicine, is one of the biggest gatherings in the TED culture. This year's conference, which begins today in Palm Springs, is a who's who in medical innovation. The list includes several people we interviewed for KQED stories, including consumer genetics guru Anne Wojcicki, scientists from UCSF's genome editing project Crispr, and physicians specializing in mobile health. Inventive nurses have been doing workarounds for decades, cobbling together broken medical devices or adapting a dressing for a tiny patient's wound. Think about it: Who really knows more about how to improve patient care than the person who is at their bedside every day? I initially heard about MakerNurse at a conference last year, so I am looking forward to meeting Anna Young and her team from MIT's Little Device's Lab. They are using the ideas behind the Maker Movement to help bring rapid prototyping of tools to patient care. Todd Coleman is a UC San Diego Bioengineering Professor who develops tattoos for health monitoring in order to make medicine less invasive. He is also a staunch public health advocate who is looking for ways to deliver sustainable innovations to under-served groups. Click here for our recent story on KQED's Future of You about the use of 'smart tattoos' to revolutionize diabetes treatment. Sangeeta Bhatia is both a trained engineer and physician -- a rare combination. In her lab at MIT she works with technologies from the computer industry, like semiconductors, to figure out how to make livers for off-the-shelf transplants that don't depend on a dying patient's donation. Her team has developed breakthroughs in cancer treatment and Fast Company named her one of the most creative people of 2014. Chris Mason is best known for his recent project to map the New York subway's DNA, which took more than a year to complete. But Mason's interests go beyond swabbing subway trains and urban mircrobiology. His research extends to cruise ships, Chernobyl-struck villages and outer space. The Cornell professor is currently working with NASA on a long-term survival plan for interplanetary survival.